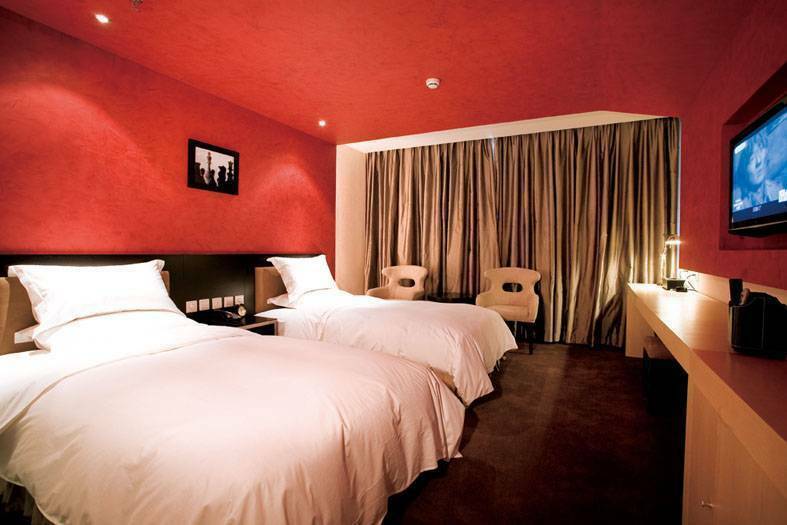 With its downtown location in the east gate of Beijing Workers’ Stadium, A. hotel is a uniquely-designed facility with a high level of elegance and style. It is located in the very center of Chao Yang Men Wai business district as well as the Beijing CBD, which enables you to experience cultural traditions as well as enjoy the exciting nightlife and entertainment of the area. A. Hotel welcomes you to a stay of class and modernity. As one of the ten main buildings in Beijing, Workers’ Stadium opened at the end of its initial construction in 1959. Since then, the Stadium's reputation has spread far and wide. During the past half century, the Beijing Workers’ Stadium has witnessed first-hand the growth and development of China historically and culturally. Recently, the renovation project for the Beijing Workers' Stadium was completed to turn it into a comprehensive arena for a host of sports events. 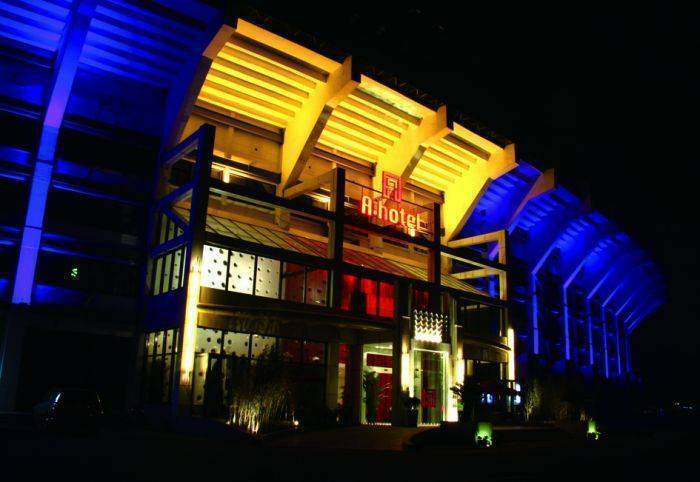 It is acknowledged that A. hotel is one-of-a-kind in that it is built-in to the stadium, enabling us to provide a unique design, location, and experience. Conceived by foreign designers, A. hotel attaches great importance to novelty, but at the same time valuing the original sports culture of the city. It indicates an integration of the history and modernity, and displays both classic and modern flavor. Equipped with lounge-style lobby, comfortable guestrooms, and elaborate decor, A. hotel will provide the guests with an extraordinary urban living experience. 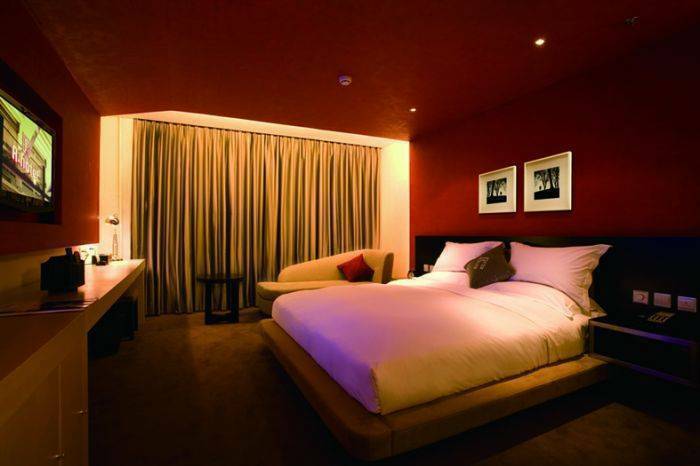 It is a place for businessmen to refresh and relax as well as a comfortable lodging for travelers to use as a starting point to experience Beijing. Surroundings A. Hotel is privileged to enjoy 350, 000 square meters of the Stadium’s facilities. A 10, 000-meter lake shore guides a perfect jogging path, pure and fresh in the dawn, delicate in the midday, and gorgeous in the dusk. 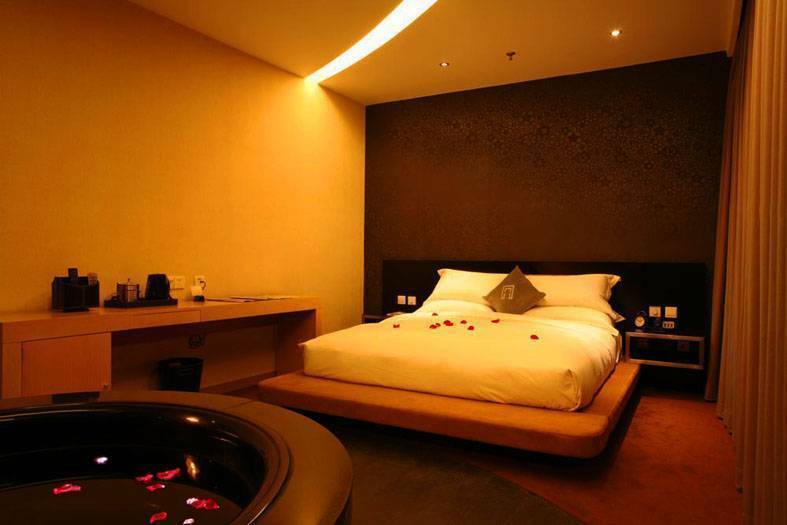 You will be treated to a comfortable and convenient vacation in A. hotel. IRENA member service A. Hotel, located in the very center of the Stadium’s IRENA business district, provide its guests all-round services in terms of dining, shopping and entertainment with unique restaurants of LE QUAI and Jasmine, hot nightclubs of MIX and VICS. It is a stylish place of entertainment for nearby CBD and San Litun Village. The Stadium's reputation spread far and wide, as it is host to a number of international competitions, as well as opening and closing ceremonies for several major sports events, providing all-around entertainment for guests. Arriving by air: please take the Capital Airport shuttle bus, "C" line. The shuttle bus stop is located a short distance to the right outside of the main entrance of the arrival building. Get off at the east gate of Worker's Stadium on Gongrentiyuchang Donglu. Arriving by train: take subway line no. 2 (Circle Line) from main train station to the Dongsishitiao stop. Walk east along Gongrentiyuchang Beilu until you reach the north gate of Worker's Stadium.